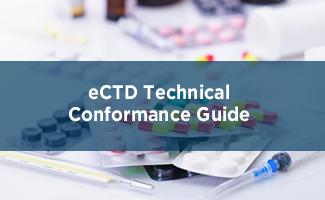 Navitas Life Sciences’ pharmaREADY is a fully integrated, regulatory compliant, web-based suite comprised of Document Management, Training Records Management, Structured Product Labelling, and eCTD Publishing Solutions. pharmaREADY simplifies the complex process of creating, viewing, and managing submissions – electronic, NeeS or paper. pharmaREADY® is the low cost (lowest total cost of ownership in the industry) cloud or on premise regulatory suite. Intuitive and easy to use, installation can be achieved in 4-5 days. During implementation our team of expert navigators will provide training and walk you through your first submission; ongoing 24/7 technical support is also provided. Navitas Life Sciences pharmaREADY is a web-based electronic Document Management, SPL, and eSubmission Publishing Solution suite suitable for both emerging and medium sized biopharmaceutical and medical device organizations. The Navitas Life Sciences pharmaREADY eSubmissions team has been providing expertise in preparing regulatory submissions throughout the world for over 20 years. 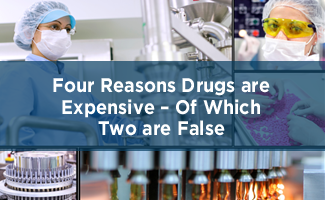 With tighter capital expenditures and continual pressure to cut costs, Life Science companies are embracing productivity tools in a “software as a service” model. 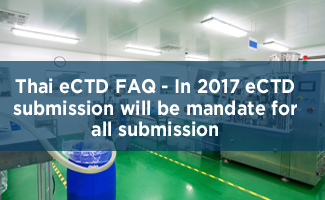 Thai eCTD FAQ - In 2017 eCTD submission will be mandate for all submission. pharmaREADY is an exclusive brand of | Site best viewed in IE9 or later versions.